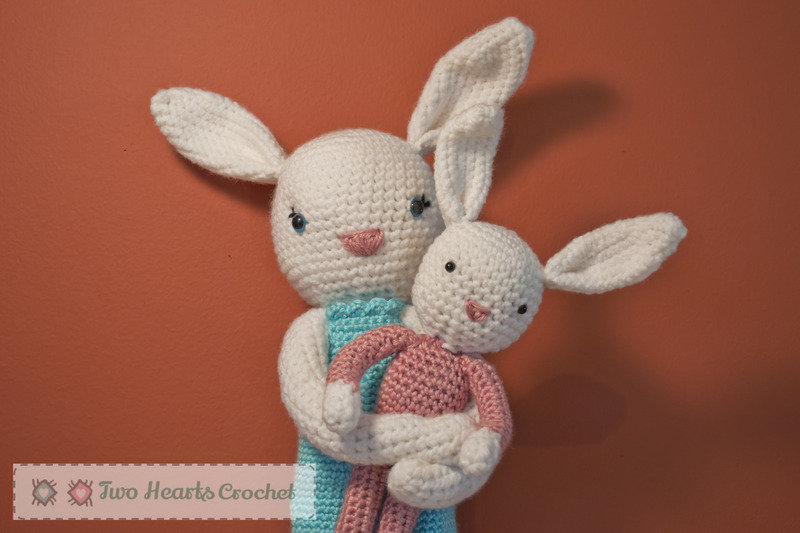 What’s more adorable than a bunny rabbit? 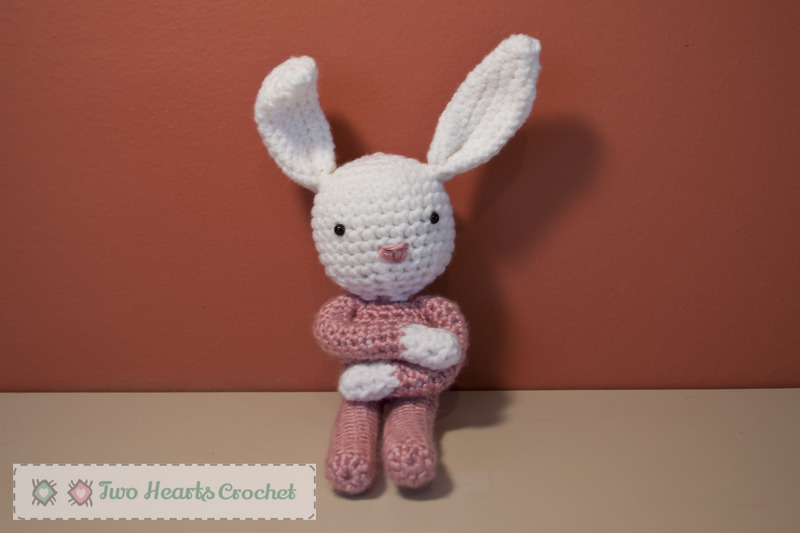 How about a crocheted bunny rabbit? A while back, I purchased the My Crochet Animals pattern book by Isabelle Kessedjian at my local Jo-Ann’s. I set it aside for a few weeks, not sure what I would do with the adorable patterns inside. 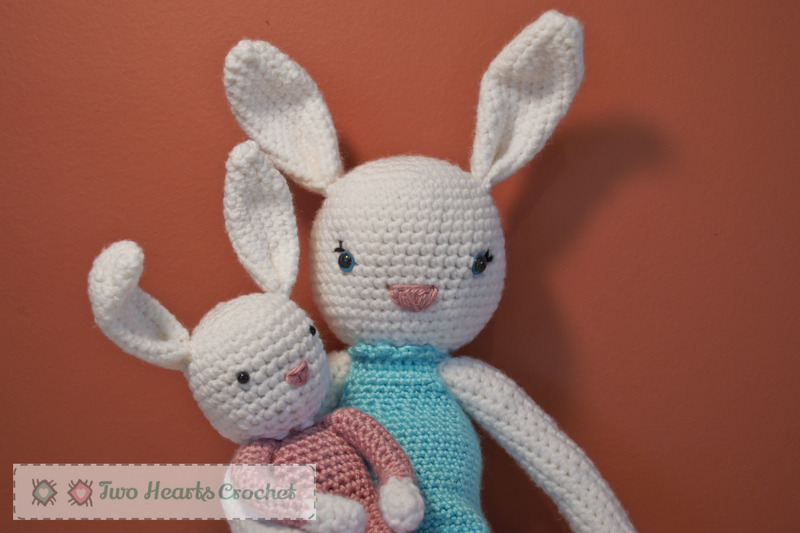 When a friend of mine invited me to her daughter’s birthday party, I knew that the mommy and baby bunnies from the book would make wonderful gifts! This book has patterns for twelve different animals, including these bunnies, a fox, a deer, a wolf and more! It also includes patterns for several different adorable outfits and accessories, as well as a bag to put them all in. 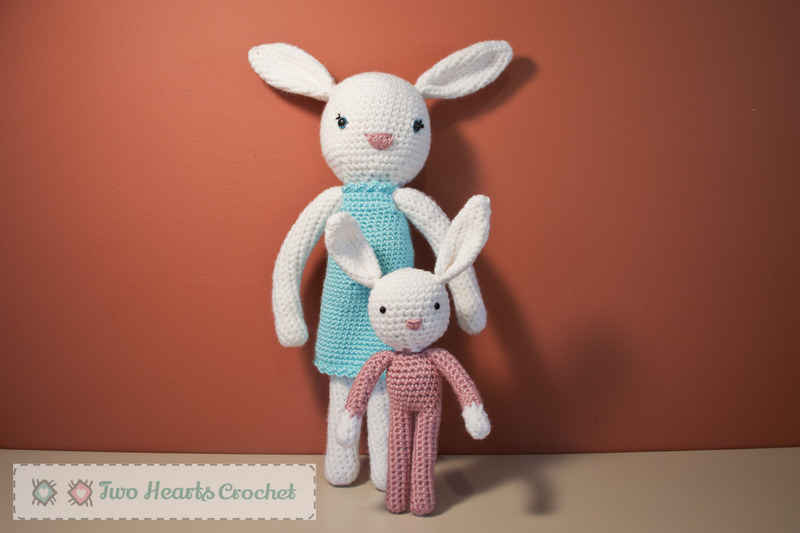 My friend’s daughter loves the bunnies, and I couldn’t be more proud of how they turned out. 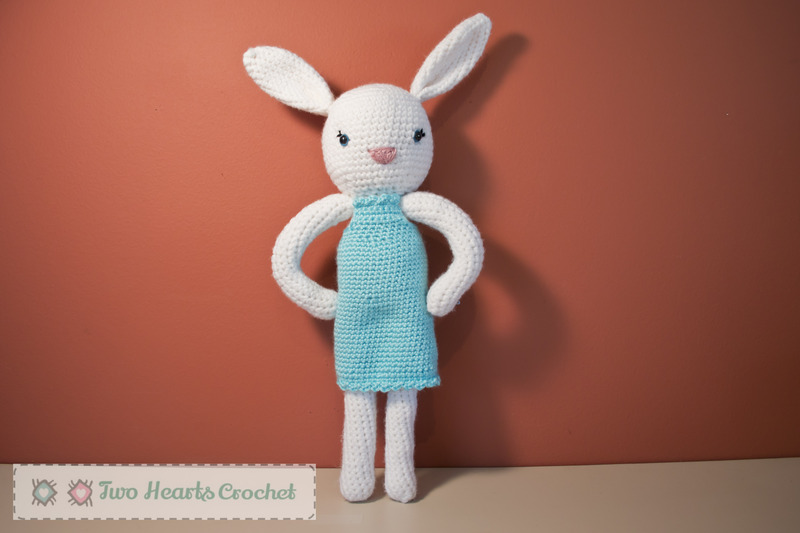 I made the pattern up for the mommy bunny’s dress myself, but the patterns for the outfits in the book are super cute. Also on my list to make from this book is the adorable wolf–he even has a zip-up belly! Love it! You can purchase this adorable book on Amazon here!